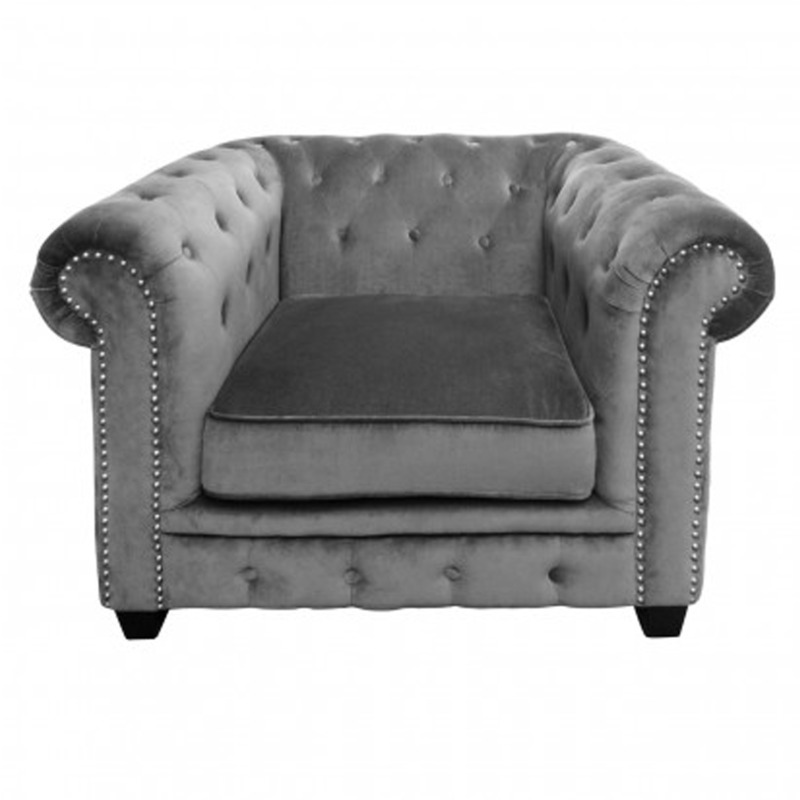 As part of our new and exclusive range of chairs, comes another Chesterfield chair. This appealing chair comes in an aesthetic grey colour and is created with luxuriously soft fabric. The backrest, seat and armrests are all deeply padded to provide maximum comfort. Complete with aesthetic button stitch detail and unique stud trimming around the front. This is the perfect way to add a fashionable and function able piece to your home.